The Arthur Downtown Revitalization Committee has a vision to rejuvenate the main street and downtown core of our beautiful town. 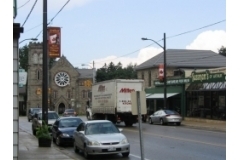 We are working towards a new streetscape focused on promoting Arthur as Canada's Most Patriotic Village. Come out and get involved!